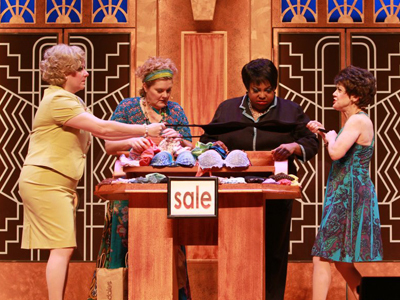 Menopause the Musical makes hot flashes fun. In this hilarious comedy, four wacky characters confess their over-the-hill experiences to the tunes of popular '50s, '60s and '70s songs. It's honest, amusing and a bit taboo! Reserve your tickets now and receive Insider Pricing. Save up to $20 on VIP seating and reserved seating or up to $10 off premium seats! Rates start at just $59 before fees and taxes when you book online. 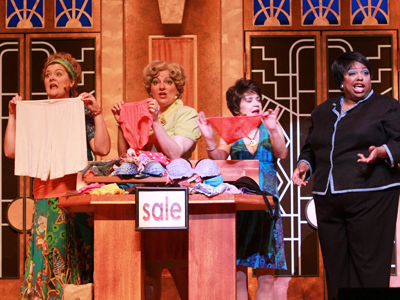 Menopause the Musical made its debut in 2001 and is the brainchild of creator Jeanie Linders. Since its inception, Menopause has showcased worldwide in 40 cities and now has a residency at Harrah’s Las Vegas. 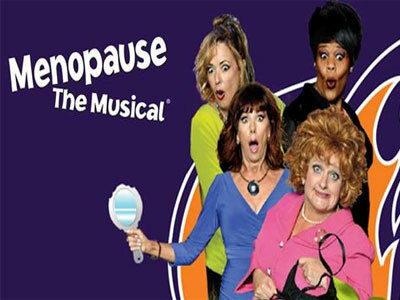 Menopause takes a serious concern of aging women and turns it into a hilarious spectacle complete with singing and dancing to the music of the 50’s, 60’s and 70’s. The show’s ability to playfully explore the real effects of menopause and then exploit each aspect of it in hilarious fashion is what makes it such a success. And the routines set against the backdrop of classic hits such as Marvin Gaye’s “I Heard it Through the Grapevine” and Bee Gee’s “Stayin’ Alive” is what makes Menopause an entertaining and enjoyable experience. Menopause the Musical at Harrah’s features a rotating cast, shows six days a week and has enough entertaining elements to make it suitable for men and women at any stage in life. 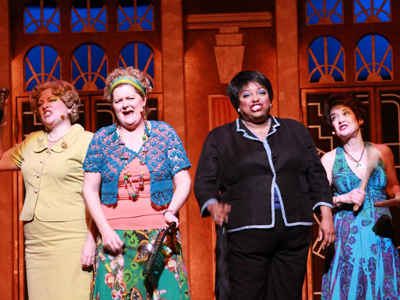 While many women may wish that they could forgo the effects of actual menopause, Menopause the Musical is a wildly entertaining spectacle that you will gladly welcome into your life. Took my mother to see it, and she had recently went through this herself. Man, was it funny! I was laughing so hard I was crying through the whole thing. My dad even got a kick out of it. The name of the show caught my attention. My friends and I enjoyed it. We laughed a whole lot. We saw 4 performers and each one was hilarious. There is so much to laugh about when it comes to menopausal women. I recommend seeing this for some feminine laughs. A Change that All women Can OR Will Relate to! A Must see rock concert poking fun of the miserable change of life for women of all ages! This is a Musical where girls can learn what to expect OR Woman who can relate. A Great Show for a family of All Generations! I Loved every minute of it! This was the funniest show I have ever seen! I had my doubts at first – menopause doesn’t seem like a funny topic. I ended up laughing so much that tears were running down my face and my ribs hurt. My husband liked it too. To be fair, I recently went through this myself, so we (I include my husband) had something to relate to. I think it would have been funny without that connection, but it was hilarious with it. 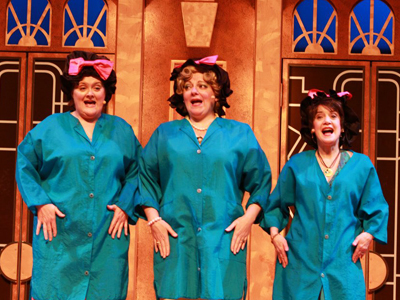 musical about 4 funny ladies going through menopause, I know it doesnt sound funny. But we laughed until we cried. Very funny and talented women. Must see! What a great show. While the women outnumber the men in the theater. The men were laughing along just as much. Great singing and songs. Fun night of laughs.